third quarter of the 10th century A.D. 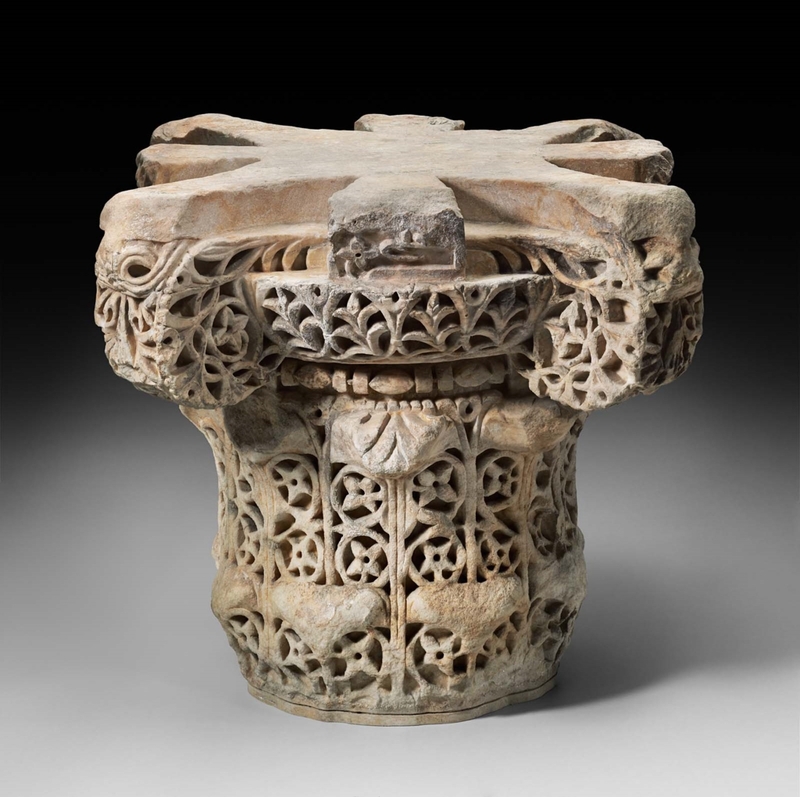 Column capital with four-petaled flowers in double scrolls on the lower part; leaves, scrolls and flowers above with a narrow bead molding between. White marble, a good deal blackened and damaged. Matches several inscribed capitals in situ at Medina az-Zahra with dates between 951 and 973. Inscribed in Arabic with the word or name "Fath" (victory). An alternate reading suggests that the word inscribed is "Falih," which could be the name of the artisan.